Denise Erzin is the Director and Office Manager of VJ Ray Auburn office. She has an extensive knowledge in all areas of real estate with 10 years of experience, she has won numerous awards for her great service she has provided to all her clients. Denise is highly motivated to keeping clients and staff happy, a bubbly personality who is friendly and always ready to help and yet assertive with her strong personality to get things done. 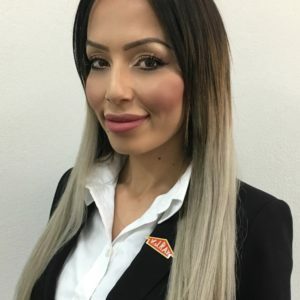 No matter what the task, she is highly committed to get things done professionally and promptly due to her knowledge and ability to deal with all clientele on all levels. She has a Diploma in Business and her knowledge extend far beyond her high level of skill and in-depth industry experience makes her an asset to manage a real estate office.